When I think of the people I have met in my life who have stopped me in my tracks, it’s usually a ‘radiance’ they emit that leads me to stop and stare. 1. light or heat as emitted or reflected by something. 1. sending out light; shining or glowing brightly. I find this quality intriguing and usually deeply attractive in a non-sexual way. These people seem to radiate an aliveness and vitality that belies an inner contentment and peace. Many of my most influential yoga and meditation teachers possess this quality in abundance. And over the years, through my own practice (at the end of a meditation or asana practice), I sense a greater vitality inside and out as well as an ability to ride the waves of life more fluidly. Yoga, at its highest potential, has profound balance to offer us. It’s a holistic practice, in its essence, that when done mindfully in connection with the breath can help us bring our mind, body and heart into union. When this union is peaked or slowly discovered, an inner radiance often begins to pierce through our old layers of armour and we feel whole. Wholeness and wholeheartedness are qualities I aspire to achieve in my practice. For when we are whole within ourselves, and our mind and bodies are working in harmony, there arises a sense of peace and wellbeing. This, I believe, is at the root of radiance. For example, many times people return from holiday with a radiance that goes deeper than their new and improved tan. Essentially, we perceive that this person has just delved into a period of profound nourishment; a time removed from their daily life, during which they got to catch up on sleep and relax deeply. After all, when we are stressed, our inner radiance tends to diminish. So how do we get this radiant post-holiday glow without actually absconding from daily lives? I believe the answer lies in the daily choices we make in terms of how much sleep we allow ourselves to get, whether we nourish our bodies with healing and nutritious food, the exercise we do and our close relationships. For me, yoga transcends way beyond exercise in terms of what it offers me. 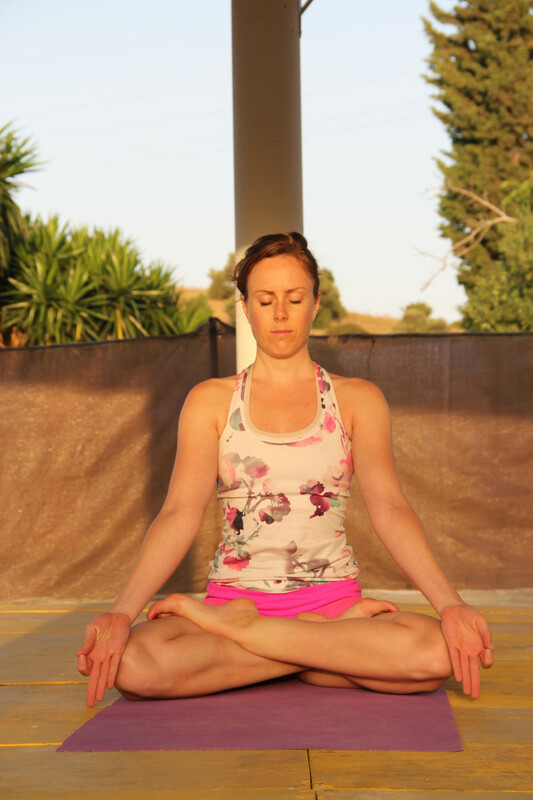 It feels like a bonus that when I am on the mat I get a strong, flexible and healthy body. What really keeps me coming back each day to practice is the sense of vital energy flowing through my body at the end of my practice and the sweet relief I feel when I perceive my mind is quieter and more steady. The radiance sequences address 5 main areas I notice in myself and my students that tend to hold more tension than necessary. Radiant Face is a practice to help unravel the habitual tensions we hold around our face. It is important that we offer a relaxed and open expression to the world. Often, unwittingly, we hold tension in the face that can be perceived as aggressive, uninterested or unfriendly. Simply learning to relax these facial tensions can change how the world experiences you and how you experience the world! The first in our 3 part series designed to make you feel bright and fabulous both inside and out. Stay tuned for radiance sequences that will enhance physical and emotional balance, brighten the throat chakra, and promote overall harmony. 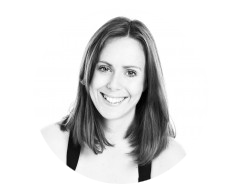 This post was written by Lucy Bruegger, a MFML instructor whose Yoga journey began many years ago on a rooftop in India, and she has never looked back. 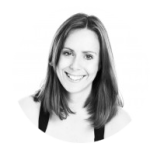 After studying in India, Lucy trained with Max Strom in America, whom she now assists on his international workshops in London. 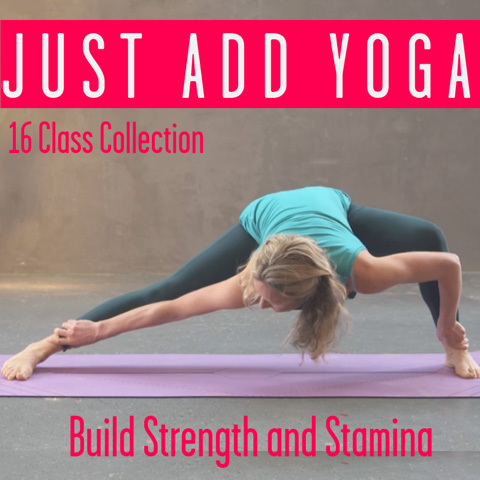 She teaches Vinyasa flow yoga with significant emphasis on the breath and its healing qualities as well as restorative, pregnancy and hot yoga classes. Find Lucy on Facebook. This entry was posted in Movement // Yoga and tagged body, harmony, mind, radiance, yoga on October 13, 2015 by Kat.